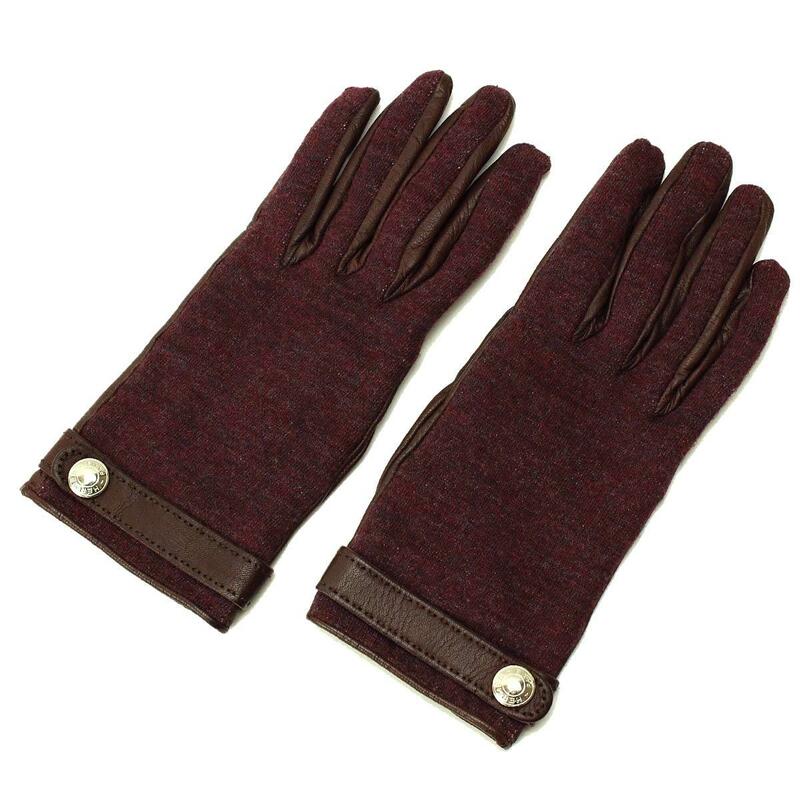 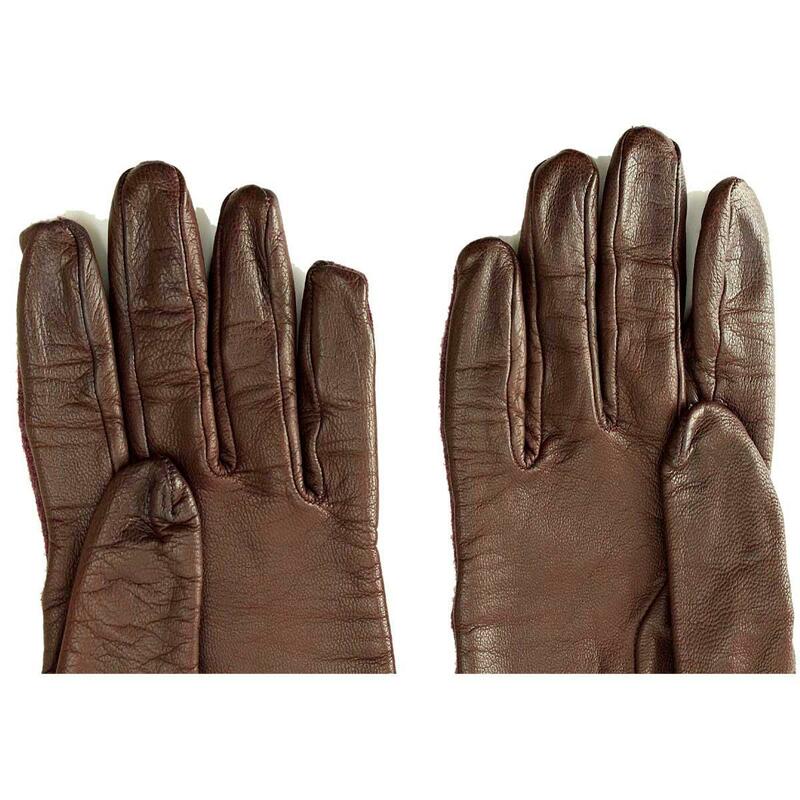 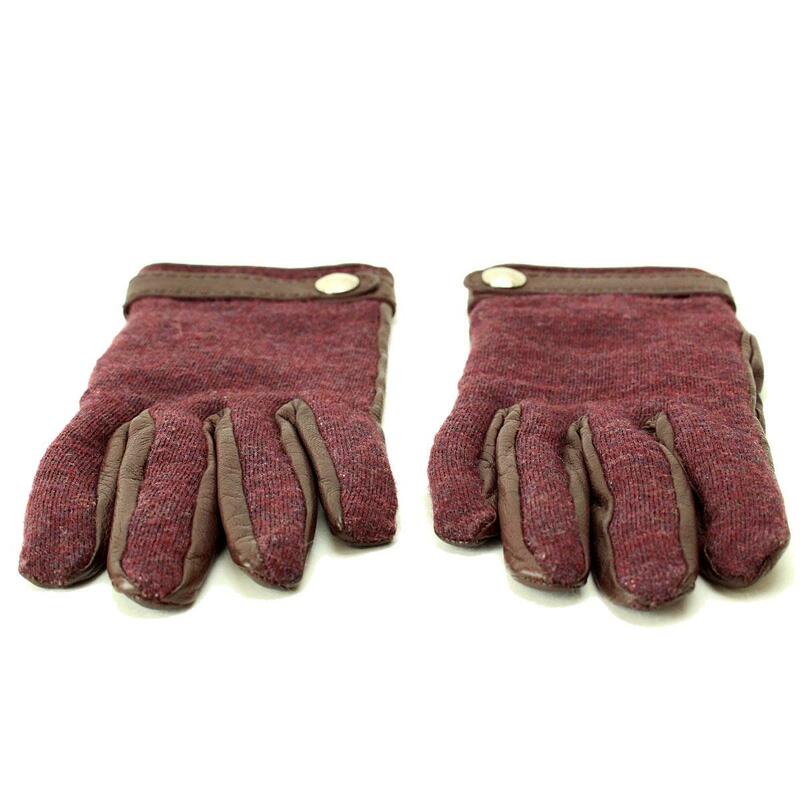 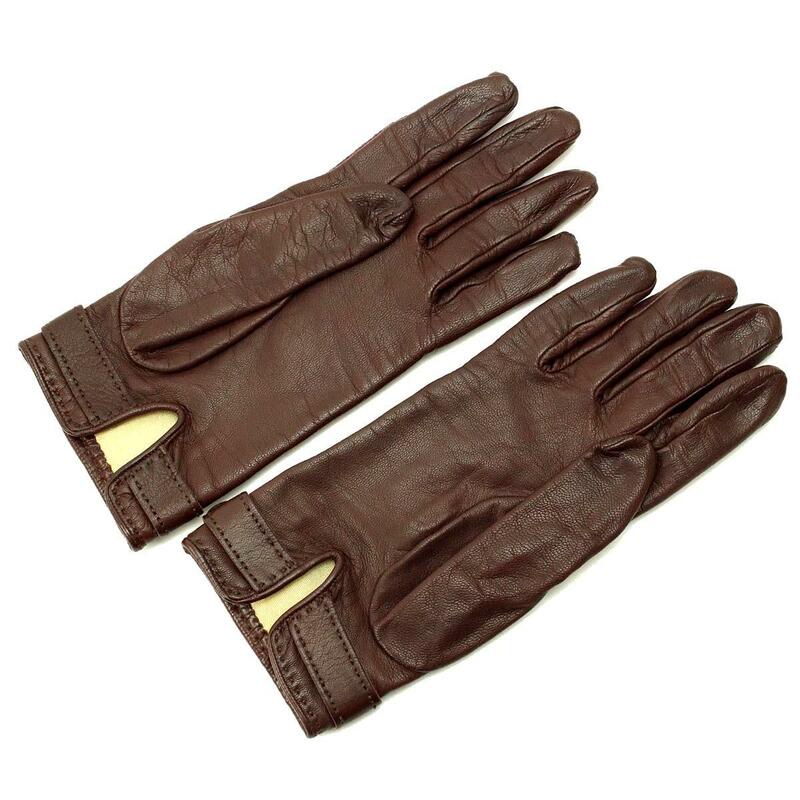 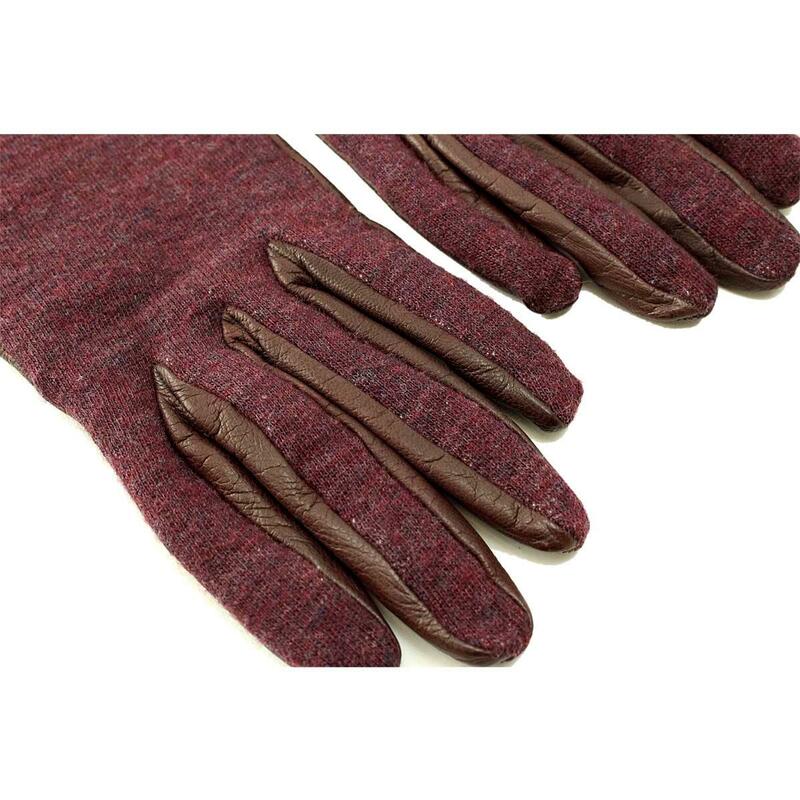 Hermes knit leather glove Bordeaux 7 [small goods] ★ ー The best place to buy Brand Bags Watches Jewelry, Bramo! 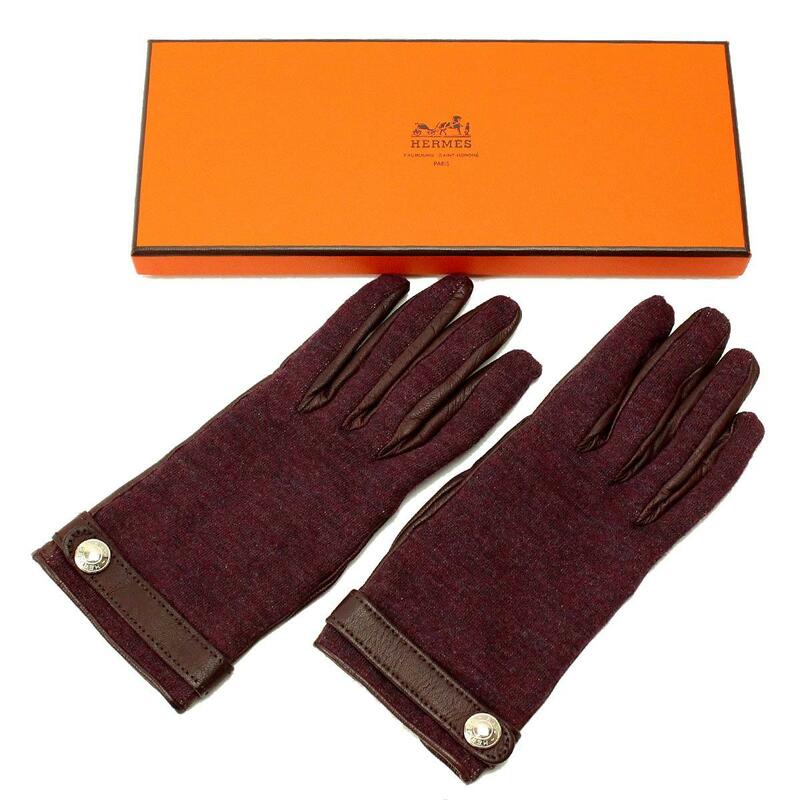 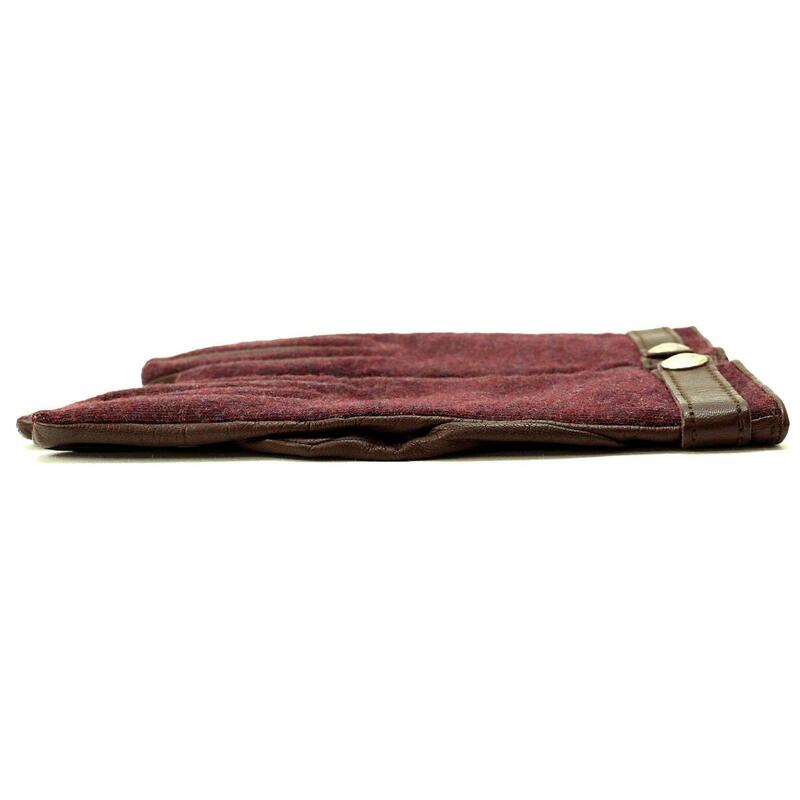 A Hermes glove with a distinctive, soft, flexible high-quality leather and a knit purple color. 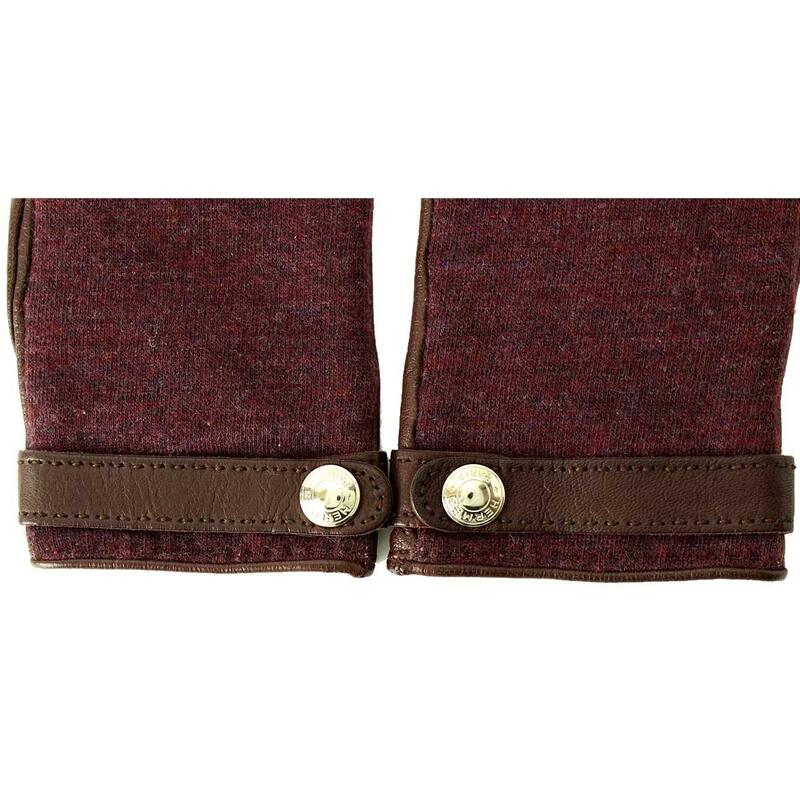 The knit part is also stretchy, easy to fit moderately to the arm, and is a recommended item for fashion accents. 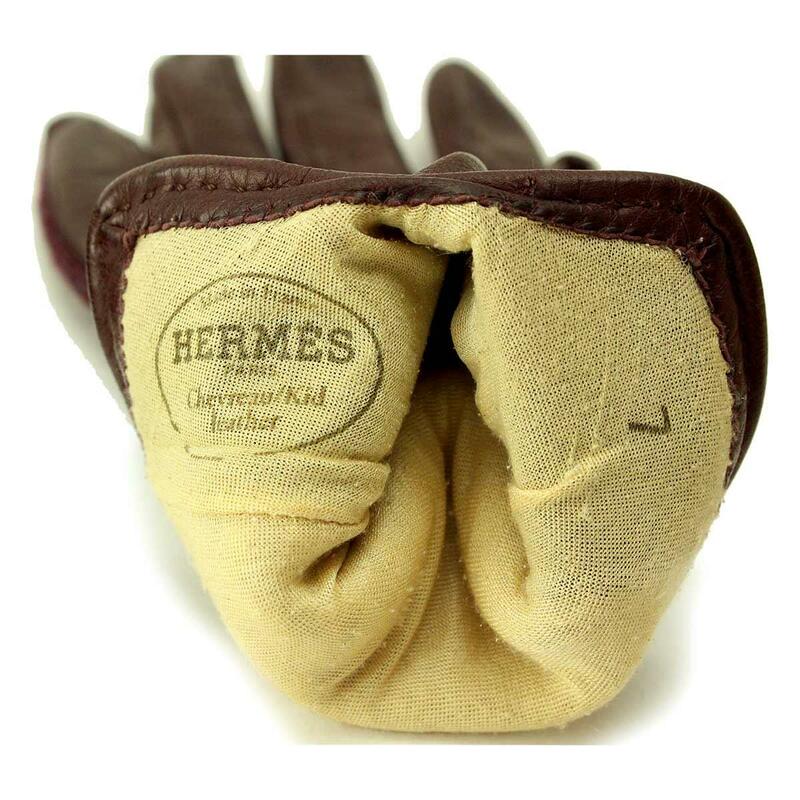 Outside: There is a slight pill by the thread, and there is a slight thread on the finger of the leather part, and some small scratches on the bracket. 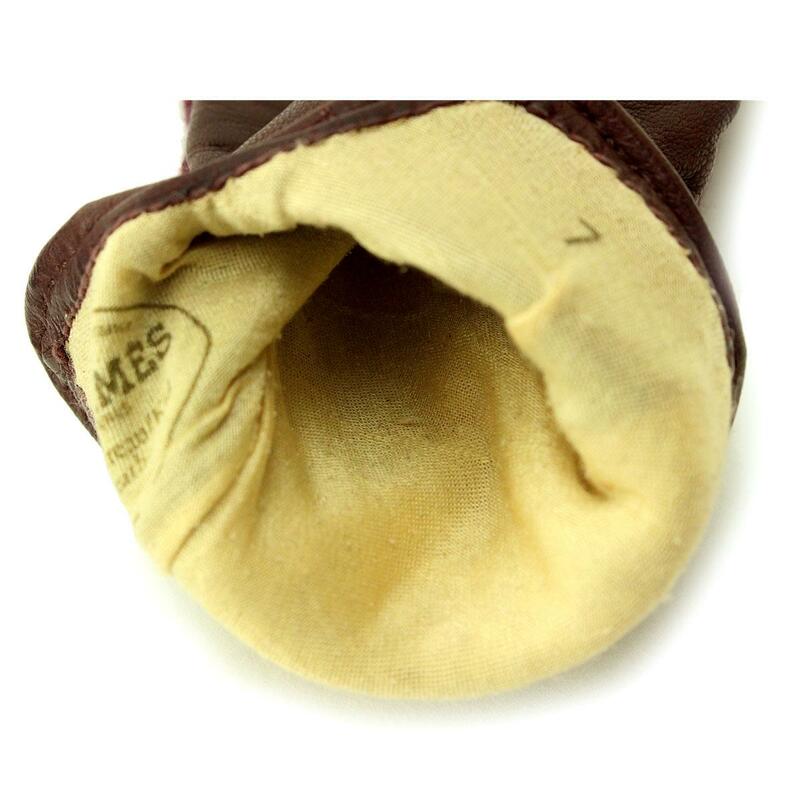 Inside: There are some hairballs, and there is stringing in some places.